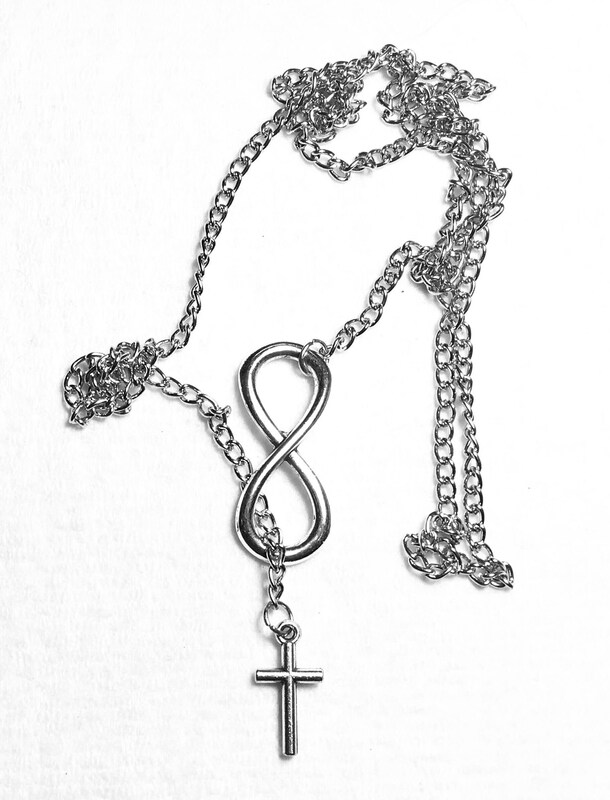 Cross drops through the infinity symbol to drape around your collar. Silver tone charms and chain. 25” long.